Congratulations! You have taken the plunge towards your first step to investing in property as your retirement plan. You have probably figured out by now that in today’s times a standard pension is not worth much, nor something you can completely rely upon. You agree? You have the opportunity to create yourself a passive income. One you can depend upon for your retirement. You can achieve this by investing in shares or property. You can do it yourself or appoint a professional broker to do it for you. I use the word passive as it must take little of your time once the deal is done and should be a lower return but also very low risk. It must not consume your head space. That must be reserved for your current business. For those of you who own and manage your own business, the greatest financial and growth success is achieved by focusing more on one stream than five streams. Have you ever seen a great full-time squash player who succeeds equally as a tennis player at the same time? Makes sense doesn’t it? I have never divulged my wealth to anyone, not even my closest family, as I believe it’s about your character, not your bank balance that people should know and respect you for, but for the purpose of this advice I will illustrate a true example of how I accumulated my wealth in property Rand for Rand. This will allow you to get a genuine full picture to realise you too can do the same. Please understand I used the systems of what was available then, you must just adjust to what we have now. Whether you are a salary earner or a business owner, I wish to share with you my journey of how I started with R5 000, investing it towards my first property and within 28 years building a property portfolio valued at over R100 000 000 (one hundred million rands). It’s called leverage of money, speed, and being street wise. I am not here to help only the wealthy but wish to reach out to everyone. I will explain my story in simple terms. I will avoid using words like internal rate of return, return on equity etc. I will simply talk in Rands and Cents so everyone will be able to understand. Let me share my journey that you too can choose to follow and reap the returns you deserve. I bought my first property at the age of 23. It was land at the top of Lakeside right next to Boyes drive in Cape Town. The total price was R50 000. I sold it a year later, myself, for R65 000. Making a profit of R15 000. Looking for my next investment I noticed that to get to Paternoster (coastline area) the last 5km of getting there was driving on a deteriorated sand road. I enquired if they would ever fix the sand road and the town council said within next six months they will be tarring it. I immediately knew the value of properties would rocket sky high. I used my R15 000 profit as a deposit to buy two properties in Paternoster, a beach property to the value of R100 000 and one further back for R50 000 (both land). The road was tarred and I later sold the beach front property for around R350 000 and the other for R100 000. Making an estimated R 300 000. I then used the proceeds to buy a beach front property in Langebaan for only R490 000 (called the Cove). I had a house built on the property for a cost of R1 000 000. At that time, the property market boomed. I was offered five million rand cash within eight months. I wanted to accept the cash offer but also reminded myself it is your personal holiday home, it is in the best prime spot in Langebaan, you’re right on the beach front, you will never replace it. So I decided to keep it and still have it today. I had the bank evaluate it and their value was also five million, they granted me an excess bond where I could borrow up to three million rands against the property. The current market value is now over seven million rand. I used that leverage of money to buy a Kalifa in Club Mykonos for 1,5 million. I sold it within 12 months for 2 million rands. I cleared R 400 000 net profit. So now I had the 3 million rand as leverage and now a further R400 000 cash to reinvest. I bought a further four properties with a partner for R1,2 million in Langebaan that faced Club Mykonos harbour. We sold the first property for R1 million net, the rest you can work out our potential net profit. A basic principle of knowing you have bought a bargain. It’s when the rental you receive can equal the bond repayment. So it’s literally costing you nothing. Now roughly for every million you borrow from taking out a bond that’s repayable within 20 years, you will pay back about R10 000 a month. So if the current tenant is paying R50 000 a month rent, and that building goes on auction, you want the sale of that building to not be more than R5 million. Why, because for ever one million you pay, the bond repayment would be R10 000, so if you buy for five million you will have to pay back R50 000 a month. If that is what the tenant is already paying, do you agree you have a bargain? It’s costing you nothing and as time goes on, you will soon be receiving surplus cash, the escalation of annual increases for the rental side enables that. So very soon the rental income will exceed the bond repayment. On a normal market price, you will not get these bargains. Bargain prices are achieved usually through a liquidation or estate late. (No reserve) I say this as then it’s only the person bidding against you that determines the price, not the market value. Never ever let emotion control you, always be prepared to walk away from a deal if you don’t get the price you originally wanted. I heard about a 3000 square metre building going on auction in Goodwood. The one side was fully tenanted and the other broken down and derelict. I bought the entire property for only 1, 5 million. The rentals were above R18 000 at the time. So as you can work out it costs me nothing to buy it as the rental would exceed my bond repayment. I then smashed down the derelict building and built onto it. 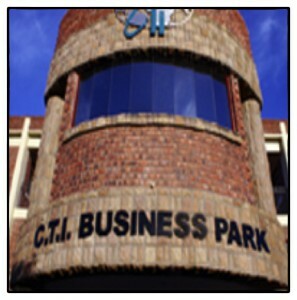 I built over 1000 square metres of office space plus 18 flats on top and behind. The costs to build everything were about six million. So total cost was R7,5 million. 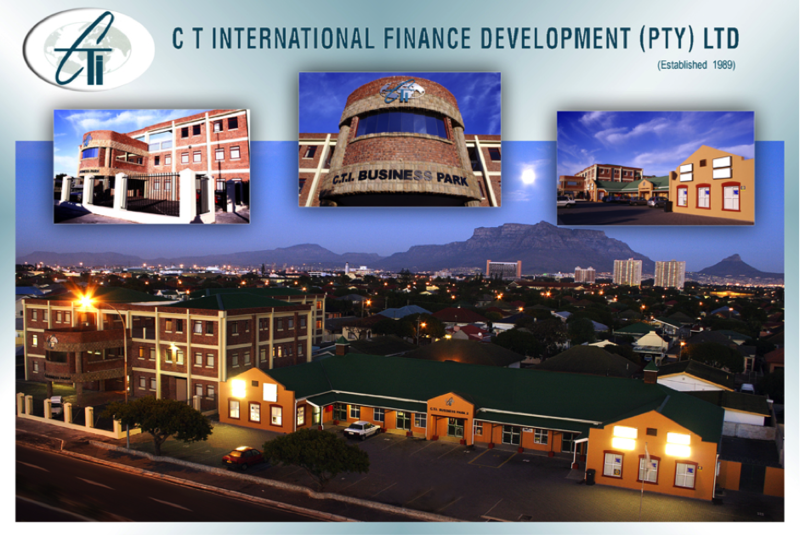 We had it evaluated by the bank over 10 years ago and they valued it at R12 million. We applied to have the flats sectional titled. The bank then raised its value to R15 million. So, in a nutshell, total costs R7, 5 million, bank values it at R15 million, the excess bond we were granted was over R5 million which we once again can use as leverage. With the leverage of cash, I decided to buy the houses around the back of the flats for cash, so I was gearing to demolish them if we choose to add 24 more flats or use that as a selling benefit to any developer if we one day sell. Again, buying the houses where the price was negotiated to the effect that if I did take out a bond the rent would cover it. Another bargain. From a rental perspective, we now enjoy over R175 000 in monthly rentals on this investment from all our tenants in Goodwood. Let me summarize this last investment which you could have done, had it been you. I had to outlay R200 000 from inception. The rest I leveraged. In other words, I used the banks money to complete everything (the building was their security). My risk was R200 000 outlay. 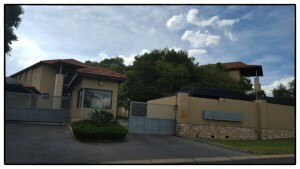 The building plus both houses and flats at the back is now valued at over R20 million. If you were using the excess bond money being R7,5 million the bank granted for the building of flats and houses behind your exposure would be R75 000 a month you would have to repay. My total rentals are over R170 000 net of all costs. So your net profit before tax would be around R100 000. Don’t you agree that amount is something you could retire on monthly? Would you agree you thought this all sounds so complicated but it isn’t? I heard about another property in Lonehill in JHB that went into liquidation. The bank valued it at R5,5 million. I learnt through a source the creditor putting it into liquidation was only owed R2,4 million. That’s all he wanted. I managed to track who the creditor was and made an arrangement to settle him for the amount he was owed. Because he was the only creditor the liquidator agreed. So the cash offer of R2,4 million was accepted, Yippee no auction. Damn, I don’t need a bidding frenzy!!! We took over the building with tenants. The liquidator said if there are delays in the transfer etc, you must pay 1% of the total value of the price of your offer, but you can receive the rentals. One percent worked out to R24000 a month. I took a chance and crossed out 1 % on the contract and made it 0.5%. Incredibly they agreed. So that reduced it to R12 000 pm. The current tenants for those two buildings bought were paying R30 000 per month altogether at the time. The deal was delayed for over a year. I was enjoying R18 000 a month for free. In addition, to a great deal, I still made an additional of R216 000 before the transfer finally went through. Do you agree, anyone who has done similar transactions could also reduce the occupational rent by half? Are we thinking like that!! I accept the building was bought cash, but even if it was 100% bonded, the bond repayment would be R25 000. The rentals are currently already up to R 46 000 per month. So my surplus of cash is already R21 000 a month and increasing annually. I then invested in a very upmarket apartment in Richmond, in the UK. Again I measured price versus rental. The returns and capital appreciation has been reasonable, but the huge benefit was the benefit of the rand weakening against the pound. That alone exceeded a 50% return. I invested in a boutique wine farm called Alluvia. It’s in the valley on Helshoogte in Stellenbosch. You can generate your revenue from the luxury accommodation, health spa, fishing and sale of wine whilst enjoying the lifestyle. Yes, trust me I am the poor neighbour in this valley compared to my next door neighbour Tokara wine estate and opposite the road, my neighbours are Delaire Graaf and Clouds flanking me both sides. Always buy a poor house in a great area, than a beautiful home in a poor area. I do acknowledge my neighbours have beautiful homes. This negotiation was tough, the seller even told his agent you will get your commission if it goes though but he wants to personally negotiate the transaction himself. Mr tough guy himself. It was a very long negotiation and I had to apply my mind fully. He would not budge his price from previous offers from over a year ago. “Never reveal to any seller if you are in the people’s game or understand selling and buying. So then they will expose themselves fully whilst doing their complete sales pitch, but meanwhile, your brain is gathering info and ready to tear holes into it. When they ask what I do, I always say finance. So then they think shame I am going to eat this bean counter!! Eventually, from the starting price, I managed to get the seller to reduce his price by over R10 million rand. Then a further one million after the due diligence was done, and giving him an ultimatum written 24 hours to decide, if not I am out. Then I will revisit a new offer and reduce the price by a further million rand every week thereafter. He quickly accepted within the 24 hours. We are extremely blessed to be able to produce premium wines on our farm such as Cab Franc, Cab Sauvignon and Sauvignon Blanc, in addition to having a high demand for accommodation. Then, on the fun side the chance to catch up to 3kg bass and bigger on Alluvia for any of our guests to fish out. While fishing, enjoying picnics at the dam while feeding the alpaca and sheep and rest of the mad family. I bought a plot in Sunset beach, Cape Town for a bargain, my neighbour paid over R4 million more five years later for a plot in Sunset Beach just two plots from me. We had a house built on it and after six years were offered ten million rands more than what it costs me to buy the land and build. The client was the American Embassy, and we were not even on the market. I decided in the end not to sell. I was not popular with the customer. Trust me, buy right on the beach front and you seldom go wrong. It’s always limited land. I bought with a partner the last piece of empty land, with building rights for apartments, a stone throw away from Newlands rugby ground in Newlands for 3 million rands, we were offered by a developer 4 million rand cash within 11 months. We declined as we know if we wait another year it will be worth 5 million rands. Just been told by developers (15th March 2016 ) it’s now valued at over 7 million rand. We have since decided to build 20 apartments, which will net a further 8 million rands. 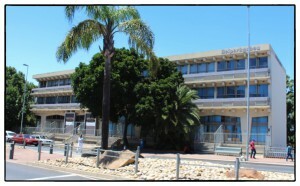 My partner and I were introduced to a commercial building, that has a grade A tenant in Bellville for R10 million. We did pay a deposit of 3 million, as in my property decisions I never want to be exposed where the bond exceeds the rent. I did say as a rule of thumb, I like to buy where the rent will equal the bond, but, in this case, I didn’t mind paying more as we have a long term A grade tenant with great annual escalation. So I put down 3 million rand deposit and the balance of R7 million rand bonded. I specifically choose R3 million rand as the bond for the balance I would need to repay must be fully covered by the rental. I don’t want the risk. I would prefer to walk away from the deal rather than be exposed to financial gearing. Now a few years down the line the net rental is R150 000 a month (after all costs deducted) and the bond repayment only R70 000 a month. That is a net income of R80 000 pm and increasing every year with the annual escalation of 8 %. It is not my intention to bore you with all my other property acquisitions. I just merely wanted to share with you by illustration what can be achieved by starting with R50000 and turning that into a property portfolio way in excess of R100 000 000 (One hundred million rands). Yes, I don’t doubt there other costs relating to transfers etc, but that’s rounding errors. Plus also, note 19/20 deals don’t happen. If the deal is too good to be true then walk away unless you have done all your homework. This blog will only be considered successful if you start by saying, I am going to learn to absorb and create my own passive income. I will be very disappointed if you are thinking all the reasons why it can’t be done. But before you do, take the time to first study what I have learnt and buy books on property in order to increase your knowledge. Understand the pitfalls. If you don’t follow my due diligence, then chances are you will get burnt, which is something I never want to happen to you. I have had many people saying to me but you must have criteria and strong negotiating skills you use that turn a market-related deal into a bargain, can you share literally word for word with me what you did on each property you invested in so we can get the best value from your advice. It has always been my nature to share information, try to make a difference in your life. So I will do that for you too. Every month I will share with you word for word how I negotiate to get my best price, stay in control of the deal under my terms. I will share with you, my due diligence I complete in order to determine if I am going to buy or not. I will highlight the property above and others as my examples then walk you through step by step. It will be sent out on the first of every month for you to enjoy and enrich your knowledge. Enjoy the start of your journey potential investors. Plan your work then work your plan.